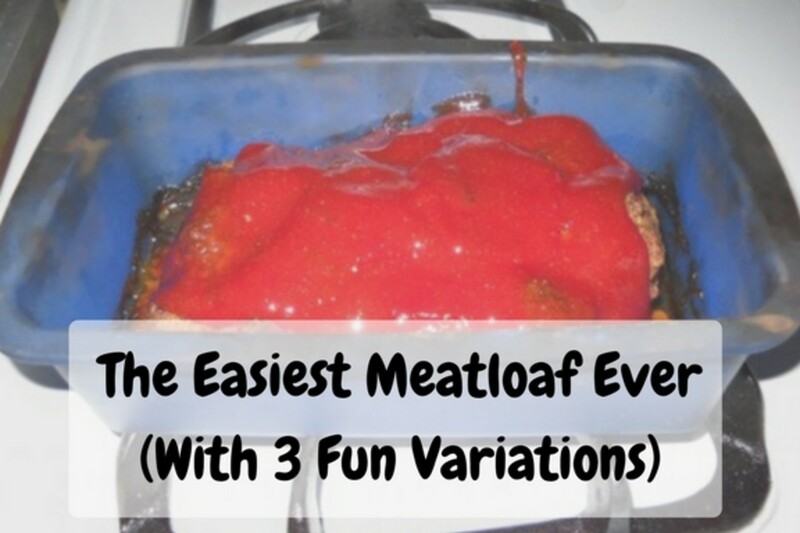 Have you ever had meatloaf that was, well, disgusting? Do you remember Ralph's memorable quote from A Christmas Story, "Meatloaf, smeatloaf, double beatloaf. I hate meatloaf." But no meatloaf compares to my grandma's homemade meatloaf recipe, which I am going to share it with you. This will be the most moist, delicious, and wonderful meatloaf you have ever tasted. Everyone I have made it for absolutely loves it! 3 slices bread, dried out or toasted at 200 degrees, and ground up by hand or with a little food processor. Or you can use ¾ cup store-bought breadcrumbs. 3/4 to 1 cup chopped tomatoes. You can also use canned tomatoes in a puree sauce or crushed tomatoes, which is what I normally use. Note: Even though the last two ingredients are optional, because I'll still make the meatloaf if they aren't available, I recommend using them for a hearty meatloaf filled with delicious vegetables. In my household, most of these items are staples! I always have bread, parsley, basil, celery seed, eggs, fresh ground pepper, and extra-virgin olive oil. In a large bowl, scramble the egg first (it is hard to scramble an egg when it is in a bowl with other ingredients). In a separate (smaller) bowl, mix your breadcrumbs and with the spices per your taste. Cut up the onion, green pepper, and mushrooms into little pieces. In my experience, if you use larger pieces, the onion and green pepper will not cook all the way. Now, wash your hands, roll up your sleeves, and put your meat in the larger bowl (with the beaten egg). Add your ingredients—mixed spices and bread, olive oil, veggies, and ½ of the chopped tomato—and squish together with your hands. Put the mixture in a pan like those used for making banana bread, or a square glass dish. 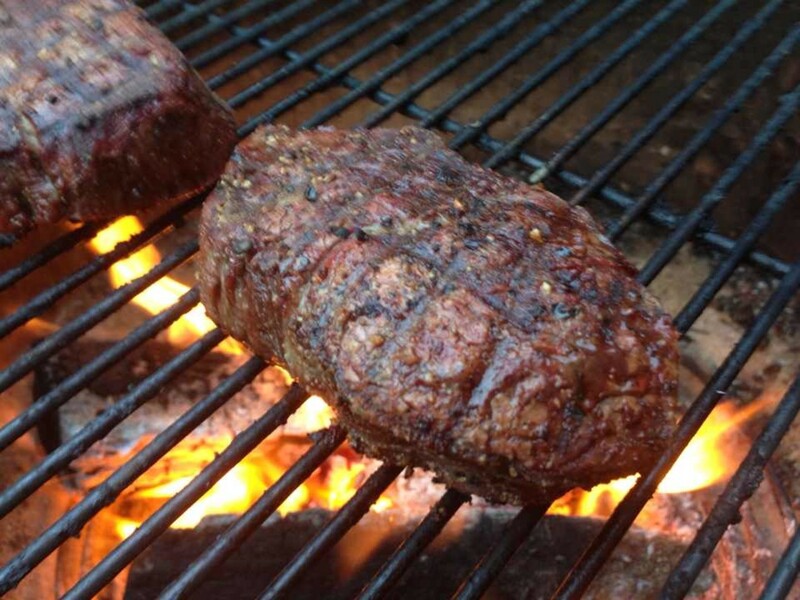 Make sure you spray with a non-stick cooking spray first. Drizzle the rest of the chopped tomatoes on top. 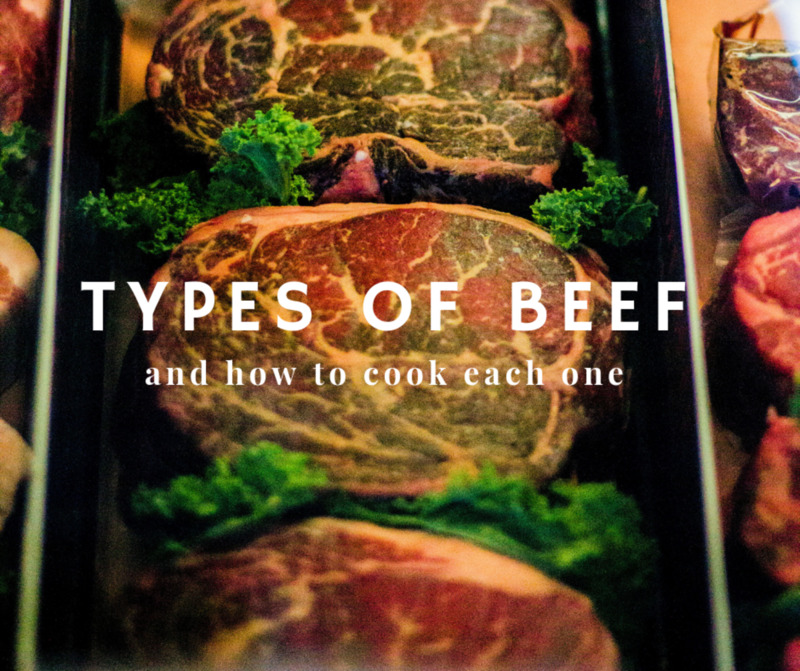 This is the secret that makes your meatloaf so moist. Note: I recommend you mix your dry ingredients together separately, and handle your meat last, so you are not touching all your spice containers after touching the raw meat. I learned the hard way. It is a pain in the neck to have to go back and wash these containers after you have touched them with your raw-meaty hands. The secret is out! My grandma makes the best meatloaf. I promise you, you will love this recipe. 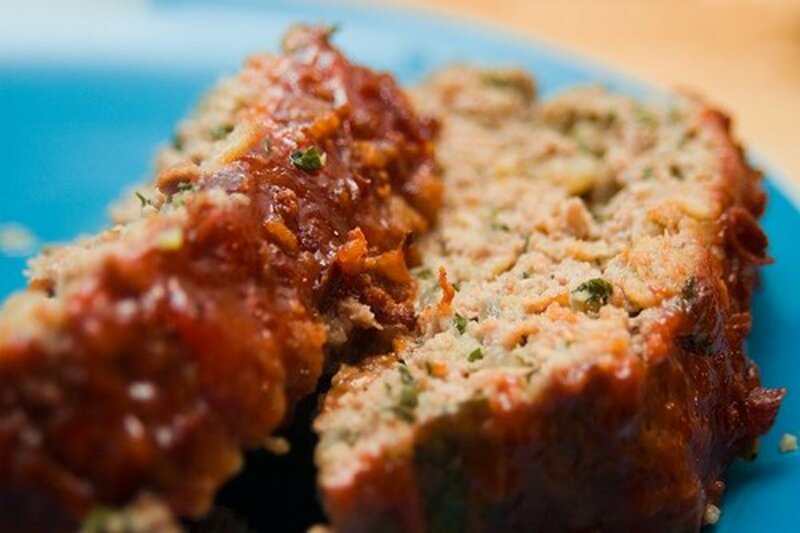 The vegetables and spices cook together to make a savory and moist meatloaf. Also (the best part about this meatloaf) it makes great sandwiches the next day. There is no need to use ketchup or milk. I have often wondered why people would use these ingredients. Each to their own, but Grandma would not approve. 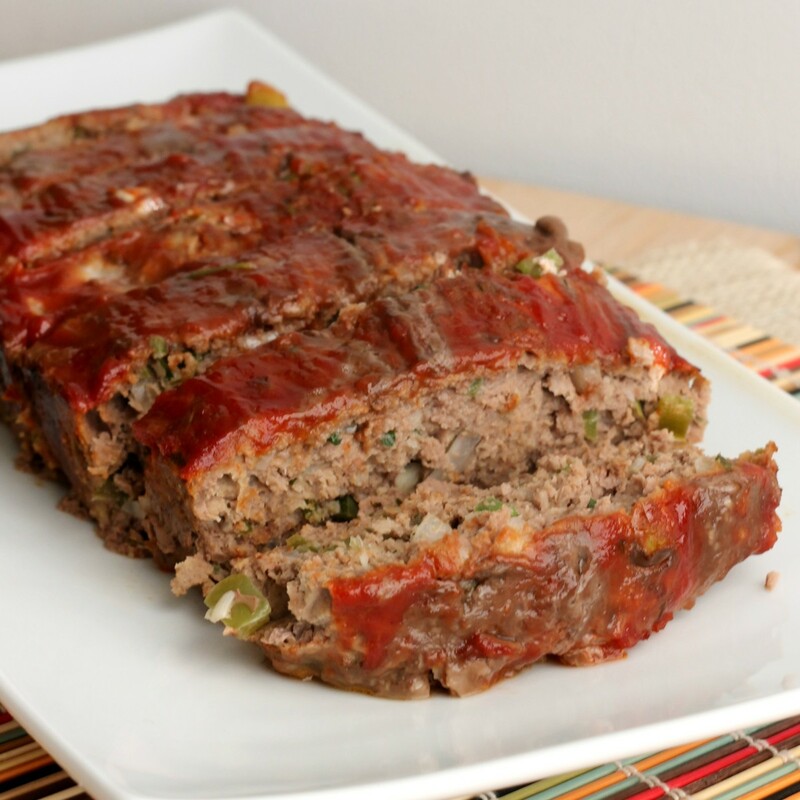 If you have a chance to try this recipe, please leave your comments below and tell me how your meatloaf tasted! I cooked it for about an hour and 15 minutes so it came up to temp in the recipe. It was formed in a baking dish about three inches high and ten inches long, topped with the remaining 1/4 cup of crushed tomatoes and salt and pepper. I did use 1 tsp. each salt and pepper also! Ok, I’m done! Sooooo good! I forgot to add this...I didn’t use mushrooms because that may have been grounds for divorce ... my husband does not like mushrooms! Ever use a can of onion soup? Thank you Steven. I am so glad that is worked out for you! Tried it yesterday. First meatloaf that I've made. It was easy and super tasty. What an amazing recipe I will never use milk again!! Making this tonight, can't wait! Could I use non-hydrogenated coconut oil instead of olive oil? Donna, great question. I add some of the sauce and keep some aside. If the meatloaf (raw) seems too dry when I am through mixing it, I add more. I should probably add that to my instructions. Thank you! I am so glad you enjoyed this recipe! Love your comment "veggie haters will never know." ~ made me smile. Do you drain your tomatoes first or do you use the juices? I'm wanting to try this soon, and was just wondering. Thanks! Only tried this because one member of the family doesn't do dairy, but WOW, am I glad I did. EVERYONE loved this. I have made it several times using different veggies, such as carrot or whatever needs to be used up. By running veggies through the Ninja small blender, the loaf has a consistent look, and veggie haters will never know. Once I had no tomatoes except a can of tomato sauce, and it worked great too. Thank you so much! Helene, I am so glad you enjoyed the meatloaf! Yes I tried that recipe with and loved it and easy to make. Thanks for sharing. Sandra, thanks for stopping by and you are most welcome! I hope your meatloaf turned out delicious. This is the first time trying it with out milk. Just put it in the oven. Thanks for the recipe. I'm always looking for a good meatloaf recipe. I play around with my recipe, but I've never used milk. I'm pinning yours to try! 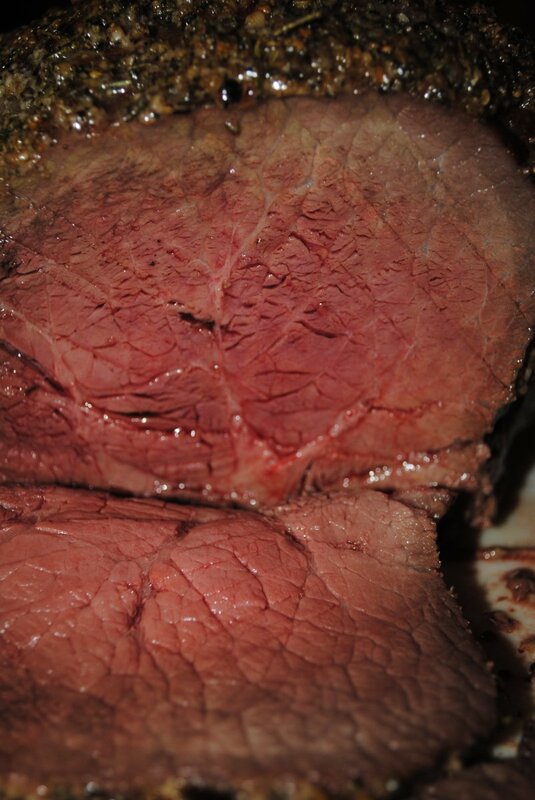 If it wasn't for the fact that I let it cook for almost 2 hours then I still would have though it was raw!! This meatloaf was so moist, I will probably never use milk again, EVER! My SO said it was heaps better than the meatloaf I usually make (with milk) and he liked it 1000 times better. This will be my go to recipe for meatloaf now, I used 2 eggs, about 1 1/4 cups of Italian breadcrumbs, and 1 1/2 cups of crushed tomatoes because I'm pretty sure I used 2 pounds of ground beef. I omitted the mushrooms and celery seed because I didn't have any, but it turned out great just the same. Spinner - you are correct. I did not include salt in the recipe and I will add that now. I typically use Spike Vege-Sal instead of salt, but either one works. I apologize if your meatloaf was bland. Tried the recipe. Used zucchini and fresh tomatoes. It was good but it was missing salt (not in recipe) and seemed bland. Noelle, yes you can use lean ground beef (found in most grocery stores) - 85% or 90% lean works just fine. I have not tried and 1/2 ground beef with 1/2 ground turkey, but I think if you are looking for a leaner option, that sounds like a great idea. Hi Victoria. I love ketchup and do use it with my meatloaf (after it is cooked and on the side). In the picture those are chopped tomatoes. The chopped tomatoes keep the meatloaf so moist! No ketchup/?? I was looking at the picture. Is the red the extra diced tomatoes on top? 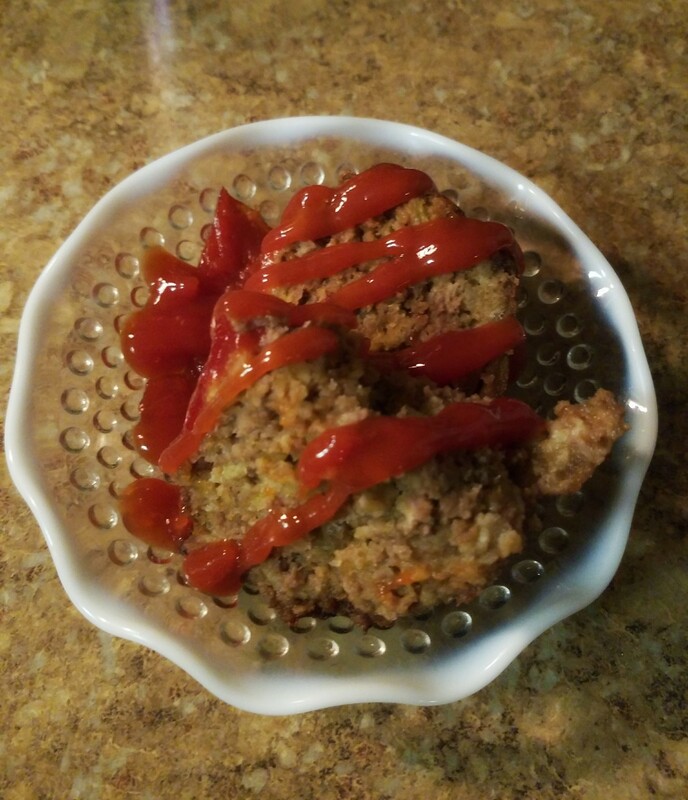 I'm always willing to try new meatloaf recipes, as I love it, but I can't imagine not adding ketchup, but if the tomatoes make the difference, i could try it!!!! OK! My first meatloaf! Wish me Luck or Pray for Me!! Thank you Edna. By all means adapt! I am glad it worked out to suit your taste. I had to adapt your recipe a bit, Tomatoes are a no no on my diet, so they got left out, I do not like mushrooms so they also got left out, I only had red peppers in the crisper so used them, everything else was spot on, and it is delicious, even without the tomatoes. Moist and tasty and when it is cold I will make sandwiches with it, thank you. Can't wait to try this recipe!!! Sounds Great. 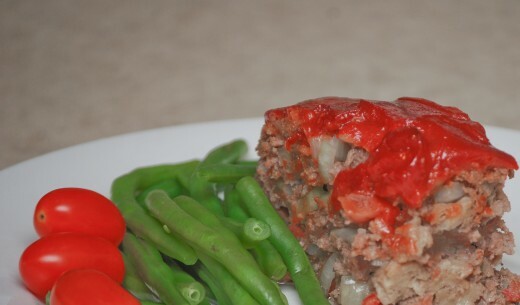 My kids love meatloaf and the veggies are really going to add great flavor!! Thanks to you and your grandma for the recipe!! Craig - I guess to each their own. I do not eat fried food, but people seem to love grease. After making this I can see why Ralphy refused to eat it. Not to my liking or my families either. Sorry! Oh I'm defintely making this tonight. It's my first time making meatloaf for my husband so I'm relieved to see such great reviews! I love this recipe. It turned out great, I will be using this from now on. Thanks to you for sharing your Grandma's recipe! The picture of your meatloaf looks yummy!!!! Thank you Evey2011, I am so glad your family liked it! Christina In Campbell River, B.C. Can. well I loved it! and have added it to my favorites list. My two year old son is a picky guy when it comes to food and was just diagnosed with dairy and wheat allergies, I made this with his wheat free bread and he loved it. In fact he asked for seconds! |Thankyou! Hi - After mixing as per instructions , i laid the mixture out on some wax paper and formed a flat rectancle to match the length of my pan and flattened the mixture to about 1/2 inch. I added about 3/4 cup of crumpled feta just off center-then using the wax paper roll each end into the middle and use the wax paper to close off the ends and the center seam. You can then lift the whole roll into the pan and slowly remove the wax paper Bake as per instructions-this adds a wonderful twist to a hearty meatloave. I know it's been 2 years since you posted this recipe, but I just came across it yesterday as I was looking for a meatloaf recipe. It was really good, and I served it with a stirfry of peppers, onions, zucchini and tomatoes from my garden, and parsley & basil from my garden. the meatloaf went really well with the veggies, and new potatoes! Eve, great question. I made it more clear on my article. I generally use 1 teaspoon of olive oil and one medium to large onion. If you do not have olive oil, the meat and egg will help everything 'stick' together. How much olive oil, and how much onion do you use for this recipe? after reading your recipe, i asked my hubby to go and get me some ground beef. 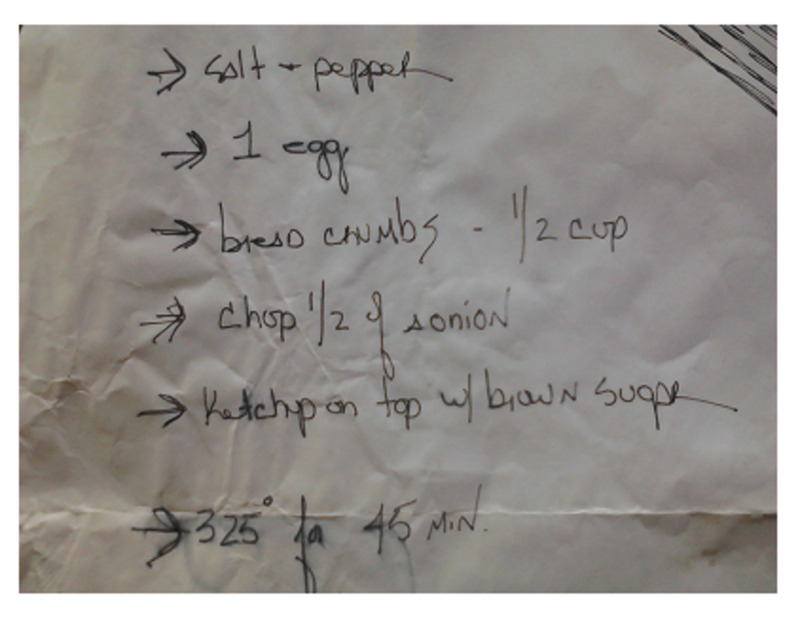 I will try to cook your meatloaf recipe, it sounds good and inviting! i'll send you my comments about it after tasting..more power to you and your grandma! Carriekins, thanks for your comment. I hope you enjoy this recipe. Ruminator, this recipe is straight from my Grandma. You can add whichever vegetables you want with it, and I hope you love it. The veggies make it so hearty, and the crushed tomatoes make it so moist. I too have a great recipe for that time-honored dish known as meatloaf. But this looks great, I will give it a try!